The Virgin Islands–Things to Know Before You Go! The Virgin Islands are the perfect place for that dream vacation with family and friends. Friendly people, a relaxing vibe, exotic foods, postcard-perfect views and warm, clear waters make the stress of day-to-day life disappear. Just like anywhere you’ve never been, there’s a few little tricks to making sure your Virgin Islands vacation is perfect. The best way to get the most out of your Virgin Islands vacation is to do a little advanced planning. Here are some useful tips that will make your time in the islands as fun and exciting as possible. 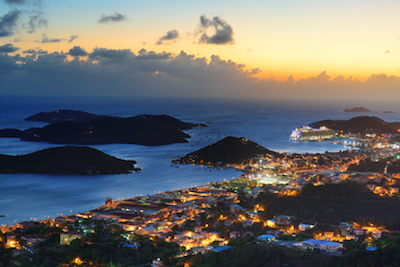 The sun in the Virgin Islands is pretty intense and has been known to cause a few painful sunburns. Even with constant trade winds keeping you cool, it’s still very important to protect your skin. Be sure to apply sunscreen throughout the day, especially in cloud cover–those UV rays never take a day off. Also protect your head, skin, and eyes by wearing a hat and sunglasses. Sunscreen sold in the islands is really expensive, so pack it in your check-in luggage–remember, the airlines will confiscate it as a carry-on. The other thing to be aware of is the “no-see-ums” – little nat-like creatures that come out at dawn and dusk, and immediately after rain, depending on the time of year. These things bite, and the bites itch like crazy. Be sure to get bug spray that contains deet. It’s the only thing that really works to keep them away. You may have recently heard of the transmission of a virus called Chikungunya, which recently reached epic proportions in the Caribbean. The threat has died down, but its best to avoid this at all costs. Basically, its carried by mosquitoes who, when they sting you, make you really sick. There are a couple of ways to protect yourself. Make sure you have mosquito repellent on you at all times (DEET based repellent works on mosquitoes too). If you don’t have mosquito repellent, take a gin soaked napkin (yes, GIN) and wipe it on exposed skin. The bartenders will know why you’re asking. Mosquitoes are worst at sunset, so plan for this one! Be Extra Careful in the Water! There are many calm and protected bays in the Virgin Islands, but you can never be too sure. When snorkeling, always use the buddy system. Having a buddy does not only allow you and your partner to watch over each other, it also gives you the opportunity to share a unique and surreal glimpse of the Caribbean underwater life. Other things to watch out while on water, aside from heavy waves and unpredictable currents, are rocky outcroppings, sea urchins and stinging sea corals, like fire coral. Keep your hands to yourself–you’d be surprised how painful a sting from a sea urchin can be! Also, there’s a tremendous amount of boat traffic on the water, so be sure where ever you are swimming or diving, there’s a flag up on the boat to indicate you’re in the water. Try to stay in designated swimming areas–there are tons–to be as safe as possible. Driving Is Part of the Adventure! In the Virgin Islands, we drive on the left side of the road. Getting used to the Virgin Islands traffic may take some time; that holds true whether you’re a pedestrian or driving a rental car. Crossing the streets on foot can sometimes be tricky because cars will be coming from opposite directions that you are used to, so look around constantly. The other thing to keep in mind is that the islands are very mountainous and like most islands, the roads are not all in good repair—especially after heavy rains. Go slowly, and beware of hidden driveways and hairpin turns. The other issue is that the views are so incredible, many people stop in the middle of the road to stare at the ocean view. You’ll also hear a ton of honking horns in the Virgin Islands–this isn’t meant to be rude. People in the Virgin Islands use their horns to say hello and communicate. It can be a little surprising at first, but you’ll get used to it quickly. Be aware of your surroundings: Exercise safety precautions you always use when traveling anywhere in the world. Wearing flashy jewelry and flashing large amounts of cash in public may attract unwanted attention, so don’t do it. When sightseeing around town, especially after dark, stick to busy and well-lit areas. It’s best to carry cash and passport in a secure place on your body, and ladies, keep your purses zipped and in plain sight if you set them down. If you’re traveling with a group, always let everyone know where you’re off to and when you are expected to come back. Even though bathing suits are common attire at the resorts, the islanders are more proper, and bathing suits in public areas is just not acceptable. Remember, this area was a British territory, so some of the traditions still hold true. When you’re in town, casual clothing is fine, but nothing too risque. If you’re at an event or Carnival, there’s appropriate attire for those times as well, but as a rule, only wear bathing suits when you’re at the beach or the pool. Watch Out For Roaming Charges! Everyone carries a cellphone with them for convenience, and in the U.S. Virgin Islands, most carriers (like AT & T) treat it like you’re in the mainland U.S. But, the minute you hop aboard a boat and head out for a day on the water, those nasty roaming charges kick in! When you leave the island, turn off your cell phone, or your data. You may not realize your phone is roaming, and man, it’s a giant bill when you get home! Contact your cell phone provider before you go to confirm they include the Virgin Islands as a U.S. territory so you don’t incur roaming charges. Your visit to the Virgin Islands should be an amazing experience that you’ll treasure for life. 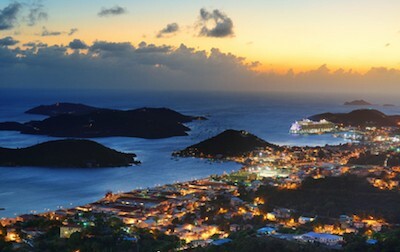 These simple tips should help to make your Virgin Islands vacation experience a wonderful one.